Cross-country skiers use one type of wax for all conditions. After all, snow is snow. That statement is obviously absurd. Snow varies in age and moisture. Waxes behave differently given the temperature. Skiers have different objectives; they may want their skis to grip or glide or both. Similarly, instruction is instruction. Course content dictates what must be taught and how. Again, obviously absurd – but perhaps not so ‘obvious’. Instructional strategies should vary based on the students, the situational factors as well as the level of learning and type of knowledge represented by the learning outcome. Instructors need different waxes and techniques based on the conditions. Successful online course design requires a fundamental shift from instructors being content-centric to being aware of the snow, the temperature and the outcomes. When I attended university, there was little attention to the pedagogy of instruction. Snow was snow. It was up to the student to work out the strategies for success. The professors were knowledgeable and inspiring. The best of them provided coherent and sometimes fascinating lectures. History teachers could conjure up the 1905 Winter Palace revolution; biology teachers got animated over the hermaphroditic activity of earthworms; and so-on. The stage was set but it was up to us to make sense of the lectures, strategize on how to understand, remember, and recall the pertinent information; and perform well on the assignments and exams. It was college. It was expected. Given that more than one-quarter of the students drop out of college after their freshman year, clearly something isn’t working. The reasons might be primarily social and financial, but they certainly include the academic. Students who don’t have the strategies to learn in a university environment get academically disconnected very quickly. Online learning doesn’t inherently help the situation. In fact, it might accelerate a student’s problems. Online faculty find it more challenging than traditional on-campus instructors to facilitate true and genuine discourse between students and to facilitate engagement of students with the subject matter. Online faculty also find it more challenging to gauge how their students are doing. Faculty don’t get that immediate feedback from students online as they do in the classroom. Is this content reaching students? Is it going over their heads. What questions are they having? That immediacy doesn’t inherently exist in an asynchronous online environment. It is therefore more critical than ever to take a teaching and learning approach to online instruction. By ‘teaching and learning’, I mean that we need to understand the component skills (Ambrose, Bridges, Lovett, DiPietro and Norman) that we are trying to develop in our students. We need to understand what type of knowledge those skills require and what strategies are best matched to the types of knowledge (Smith, Ragan). What level of learning are we hoping our students will achieve? Are they to remember key facts, understand important concepts, apply their learning to new situations? Are we trying to promote retention of information or application of knowledge in novel situations? What precisely are we trying to do? Online environments, because of their remoteness, require that students practice and perform. They require that students receive periodic feedback – feedback that they can apply to future assignments. So, rather than one high stakes test, an online course might include multiple assignments that help the students develop in stages. Instructors may need to be analytical about the course content. What levels of learning: remembering, understanding, applying, analyzing, evaluating, creating? What types of knowledge: declarative, conceptual, procedural, attitudinal, and/or strategical? What strategies will promote that knowledge? This post provides a simple example based on photography. The art and science of taking good photographs involves many types of knowledge and thereby invites different instructional strategies to help students acquire that knowledge. Hopefully, you’ve taken pictures and enjoy looking at photographs. Some simple technical elements are introduced in this example. Many people will recognize them. But for those who don’t, I’ll provide a short explanation along the way. The camera diagram above presents two labels: aperture and shutter. Both of these things feature prominently in the making of photographs. At a declarative knowledge level, students should be able to identify an aperture and shutter, given an illustration. This alone, however, is unlikely to be the end goal of instruction. Labeling parts of an engine doesn’t mean you can fix an engine. Labeling parts of a camera doesn’t mean that you take creative photographs. The ability to label is a ‘stepping stone’ type of objective – but a necessary stepping stone to understanding the concepts of exposure and depth of field and the use of those concepts in the composition of a photograph. As a result of our design, we might choose to focus first on labels and definitions and then on concepts. Or we might choose to deal with concepts and definitions, concurrently, in a more integrated manner. In the former, we might choose to reduce cognitive load on students to not overwhelm them. In the latter, we might want to show the immediate relevancy of these things toward a conceptual understanding. It obviously depends on the students and the context. Those are decisions that an instructor is in the best position to make. Whether or not we tackle declarative and conceptual knowledge as discrete instructional steps, we must recognize that they are separate. A student demonstrates declarative knowledge when s/he can point to the opening in a camera lens and identify it as an aperture or see an illustration of a shutter and identify it as such. When a student can define an aperture as a controllable variable opening in a lens, or a shutter as a device that lets light pass through for a precise length of time, then the student is demonstrating declarative knowledge. In fact, the student can include these terms in organized discourse that makes the student appear very knowledgeable. Use focal plane shutter in a sentence. Sounds quite technical. In fact, organized discourse might be quite misleading. A student may have no knowledge of the underlying concept of exposure or how to use aperture and shutter strategically to solve a composition or exposure problem. An assessment that requires students to label and define things or use the terms in an essay might only be assessing declarative knowledge. Again, probably not the end goal. As mentioned, both aperture and shutter relate to the concept of exposure. Exposure, in photography, is the amount of light that reaches a digital camera sensor or the light sensitive crystals on film. Controlling exposure with aperture and a shutter is a balancing act. The larger the lens opening (aperture) the shorter the time the shutter should open (shutter speed) to achieve proper exposure. The smaller the lens opening, the longer the time the shutter should open. If the shutter were opened for too long without a balancing small aperture or if the shutter were opened for too short a time without a balancing large aperture then the picture would be over or under exposed. That is the concept of exposure and its related measure: exposure value. It can be understood mathematically as EV = log2 N2/t or metaphorically as a balancing seesaw. In either case the understanding is a conceptual understanding. The strategies for declarative and conceptual knowledge will be different. For declarative, we might help students relate to what they already know: the pupil of an eye for aperture; a window shutter for a camera shutter. We’ll also come up with strategies for retention and retrieval. For conceptual, we might use the analogy of seesaw or have students craft an equation that requires an increase in one variable to offset the decrease in another. In addition to exposure, aperture and shutter speed have significant impact on the composition of a photograph. The larger the aperture, the less the depth of field, which means that objects in the foreground and background will be blurrier. The shorter the shutter speed, the blurrier moving objects will be. If you want to focus on a goldenrod and blur out the plants in the fore and background (left), you choose a large aperture. If you want to focus on a single branch and blur the background (top right), you choose a large aperture. If you want to sweep across pines against the sunset and essentially paint with light, you set the shutter to a very slow speed (bottom left) and prevent over exposure with a very small aperture. Compositions with aperture and ahutter Speed. Left image and top right images show small depth of field. Bottom right image shows slow shutter speed. Students can be presented with photographs that show these concepts in play. They can be asked to guess at the aperture and shutter speed setting. They will look for exposure and blurriness in the foreground, background and subject. This is analysis. The types of knowledge (declarative and conceptual) now interrelate with remembering terms, understanding concepts, applying concepts and analyzing. We remember the definition of aperture; we understand that exposure value is a relationship of aperture to shutter speed; we apply our knowledge of aperture to blur a background; and we analyze a photograph for evidence of camera settings. In short, levels of learning (Bloom’s taxonomy) intersect with types of knowledge. Richard Mayer wrote about this in Applying the Science of Learning. Patricia Smith and Tillman Reagan wrote about this in Instructional Design, as did many after them. Declarative knowledge supports conceptual knowledge, which supports strategic knowledge. We might present the students with a composition problem that can only be solved by using aperture and shutter speed strategically. Perhaps it is unsolvable problem that requires yet another element: film speed or film sensitivity. Some instructors might choose to begin with a composition problem – requiring students to work backwards to the underlying concepts and underlying declarative knowledge. Some instructors will combine types of knowledge and reveal the interrelationships of things sooner rather than later. Whatever the overall strategy, a clear awareness of types of knowledge will help in the instructional design. When instructors think about the component skills, levels of learning and types of knowledge and all of the factors that will impact students acquiring, assimilating and applying new knowledge, instructors are practicing instructional design. Instructional design places the learner rather than the content at the center of focus. Intentional, instructional design promotes better courses and increases the probability that students will be successfully engaged in achieving the course outcomes. Smith, P. L., & Ragan, T. J. (2005). Instructional design. Hoboken, NJ: J. Wiley & Sons. Mayer, R. E. (2011). Applying the science of learning. Boston, MA: Pearson/Allyn & Bacon. For me, the excitement of building online courses comes from the power of design. I love the idea of designing with intention. Perhaps that is why I’m drawn to the work of Frank Lloyd Wright, Apple Computer, MIT Media Lab, modern architecture and, as you read in my last post, art galleries. When faculty treat online courses less as the assembly of course documents and more as the product of thoughtful design, students benefit. Stanford’s d.school (Design School) with its origins in mechanical engineering may seem like an odd source of inspiration for instructors who design online courses. However, it turns out to be not only inspirational but quite practical. d.school is the fountainhead of Design Thinking. Design Thinking helps us to apply human-centered techniques to solve problems in a creative way. It is used to make art, design products, solve business problems – and even to create online courses. Stripped down to its essentials, Design Thinking requires empathy – it requires us, for example, to ask who our current or prospective students really are, what do they need, what drives them, what do they know, and what are their constraints. Secondly, it requires definition. After information gathering on student needs, program needs and employer needs, what is the problem that the course is intended to solve? What will the students be able to do that they haven’t been able to do before – cognitively, physically, emotionally? Thirdly, it requires idea generation. What are all the strategies available to help students master a type of knowledge or skill at a particular level to a defined degree of success? Fourthly, it requires playing around with ideas – sketching on white boards or on paper. Finally, we need to test the usability and effectiveness of our ideas on real people. That is Design Thinking in a nutshell: Empathize, Define, Ideate, Prototype, and Test. For the last several years, instructional designers have written about Design Thinking and its interrelationship with various traditional and agile design approaches. Corporations have used it in building user-friendly products that meet needs. But the benefits of Design Thinking and even of Instructional Design have bypassed online learning instructors. Why? In a Design Thinking approach, with the help of an instructional designer, faculty don’t need to develop a course alone. At our university, we have a conference space surrounded by white boards. Our training space is clad in white boards. The instructor can invite colleagues and we can invite team members who understand design, the technology, the media and can help get things done. The instructor, with some help, can gather background information on the students, the curriculum, the program goals, the employer and community needs, and whatever information will drive the curriculum. A large part of this is human factors. The table of contents of a textbook may not be the best place to start. Understanding the learner is a much better starting point. Dee Fink describes this as shifting the center from content to the learner. José Antonio Bowen describes this as finding the entry point. That means the student entry point. Instructors already know and love their content; but how will student be first introduced….and hooked? The definition phase is like holding a magnifying glass to paper on a sunny day. It is where something so broad and diffused as goals, aspirations, needs, and requirements sharpens to a focal point. The course author focuses on the objectives of the course or the problem that must be solved or the task that students must master. M. David Merrill in his first principles of learning places the problem at the center of everything. The activation of prior knowledge, the presentation of new information, the practice and feedback, the application of knowledge outside of the course, etc. are all centered on the definition of the objective, task or problem. This is tricky work. Most of our less stellar efforts can be traced to poor definition of what the course or module or learning object needed to do. After this hard work, the fun begins. The white boards come alive with ideas and quick prototype sketches. Instructors can benefit from folks who really understand the breadth of strategies that can help students achieve an outcome. In our conference space, we talk about everything from journals to electronic portfolios, VoiceThreads, interactive case studies, simulations, electronic books, OER, publisher resources, to whatever. The challenge is to find strategies that help students with a certain level of learning (apply, analyze, synthesize, etc.) and a type of knowledge (procedural, problem-based, conceptual, etc.) and degree of mastery. Is this something we are introducing, reinforcing or, indeed, mastering? Do we involve students in discussion? Does the instructor model a practice? Does she observe student performance and provide feedback? Do students interact with the content – check their mastery, build their skills? Faculty may have one or two favorite strategies. Centers for Online Learning or Centers for Teaching and Learning (CTL) or Centers for Teaching Excellence or eTeaching Services or Innovation labs — or whatever they are called — have a much deeper tool chest to choose from than the individual instructor. Seeking their help is a critical first step. These ideas then need to be tested. We can design websites or interactive content and theorize how effectively students will use them. The validation comes with the testing. We can simply observe students interacting with course elements. We can assess students for performance and survey them for attitudes. We can do simple control and experiment group comparisons. The scope and effort will vary but we need some form of validation and feedback before faculty commit to full development of the project. A recent faculty project featured a very long survey. It is one thing to anticipate and imagine the wear on students after many minutes of survey taking; it is quite another to observe students complete a long survey. The first step for some faculty can be to seek out their institution’s instructional designers. Many professionals with different titles play the instructional designer role. In some places, instructional technologists, learning management specialists or curriculum specialists may be instructional designers. As mentioned, they also live in places with different names. Seek out the places with all of the whiteboards. Finding the instructional designers may lead to finding other professionals who can help with idea generation. Oftentimes, the instructional designers can bring the right people together. Faculty can begin with Define and Ideate. An instructional designer and her colleagues can help them sharpen objectives and brainstorm strategies that help students achieve the outcome. Think of it as just hanging out with people and brainstorming with two very very important requirements. Faculty must do their homework and supply critical background information. From there, faculty can engage the instructional design team to whatever level they feel comfortable. Maybe they walk away after getting some ideas. Perhaps they engage in the testing of ideas. If the instructor’s locus of control is respected, more of the benefit of Design Thinking will be realized. The beneficiary is always the student. In eLearning, good visual design is yet another challenge. As instructors, we want our interactive lessons to look good – but we aren’t trained in layout and graphic design. In many of my own projects, I’ve relied on graphic designers – but often I’ve had to make do with my own limited skills. I’ve learned a couple of things over the years and am happy to share what little I know – more as a starting than an ending point. Let’s begin with the premise that we want our pages to be visually appealing to students. Of course, more importantly, we want our pages and layouts to support our instructional objectives. We want things to look good and function well. At the very least, we don’t want our design to distract the students or confuse them. Fortunately, visual design is a combination of art and science. We can draw from a body of knowledge that is evidence-based and not as subjective as we might imagine. To describe visual design, I can start with the basic concepts of flow, color, style, reading order, consistency, contrast and structure. Whenever I’m in any doubt about visual design, I think about the art gallery. In most galleries, the walls don’t compete with the art work. Plain walls. Open spaces. Strategically lit rooms. The labels and interpretive text are positioned so the information is easily associated with the art work. The label doesn’t compete and isn’t crammed. The text is printed in high contrast to the background. I can move easily from piece to piece all around the room and then onto the next. The flow is well thought out. Our interactive lessons can be designed similarly. Text can be cleanly separated from imagery – with an adequate margin between text and image. Margins can provide clean separation of the other page elements. The page background can be selected to not compete or distract from the lesson. The developer can be intentional about guiding the eye from one thing to the next. Or sometimes, for effect, we can do the exact opposite. Agitate, provoke, move students out of their comfort zones. But, in either case, visual design requires intentionality. Screen elements have different visual weights or powers of attraction based on the size, color, and even shape. Unusual things attract the student’s attention. Instructors should decide where students should look first. If one element is larger than the others, students’ eyes might be drawn there. If all elements are in black and white but there is a splash of color somewhere on the page, the student’s eye will go there. We’ve known these things for some time, but recently, usability labs have provided us with eye tracking sensors, which produce heat maps. Heat maps graphically display how people look at a software screen, for example, and which elements they look at. Areas that attract the most attention appear in hot red. From usability studies and from age-old observation, we know that visual designs have an entry point. We need to plan or consider where that entry point might be. We also know that visual designs can have unintended exit points. As an example, hyperlinks can be hugely counterproductive to visual flow control. For good reason, we think of hyperlinked information as being highly useful to students (another resource) but they introduce the risk of students losing the flow, being distracted, perhaps never returning to the lesson. If our visual design is a simple text page, our job is easier. We can use headings, sub-headings, text wrapped around images as well as size, italics and color to signal very important information. If a page is a free-form layout, we need to plan visual flow more carefully. In that planning, we need to note that the eye is attracted to color, strong contrasts, and follows along thick lines or elements that are composed in a way that suggests directionality. Color can be used to direct the eye and to attract the student’s eye to key information. Richard Mayer, in his book Multimedia Learning (Cambridge Press, 2001), describes the signaling principle. The signaling principle states that people learn better when cues that highlight the organization of the essential material are added. Instructors can use color to provide that cue, but color-blind students will not benefit. Multiple cues are needed to highlight essential material. Italics for example. The dominant color should be used 60% of the time, your secondary color 30% of the time, and an accent color 10% of the time. Typically, the most dominant color should also remain the least saturated color, while your bold or highly saturated accent color should be saved for your most important content. Style may be the most fickle thing to embrace in your visual design approach. In the early 20th century, graphic designers were influenced by modern art, the Bauhaus school, posters, the De Stijl movement (think Piet Modrian), constructivism, architecture and more. Today graphic designers are as likely to be influenced by styles on the web. Just a couple of years ago, instructional screens featured gradients, beveled buttons, drop shadows, textured backgrounds and an attempt to imitate the material world in the digital medium. Microsoft and Apple, in the redesign of their graphical user interfaces, reflected the sudden change away from material world imitation. Buttons lost their three-dimensionality and became flat, single-color, texture less features. The new look became, in a sense, minimalist and, perhaps, more functional. The rise in mobile computing favored flat designs over both texture and minute detail as well as other features that didn’t translate well to the small screen smart phone. Flat design is a thing. But styles change. So, what is an instructor to do? My hunch is that we should focus on evidence-based practices and embrace minimalism not for its trendy appeal but for its functionality. We should probably pay attention to the world around us. Pay attention to styles on the web. Pick your favorite website and think about the underlying elements that make it visually appealing and functional. Visit the website of a college of art and design. Follow it over time. But don’t get too hung up on style. It is a black hole. Once you pass the event horizon, you’ll never return to creating anything useful for your students. Focus instead on some simple things – such as reading order. Highlight important words to ‘signal’ their importance. Use headings and sub-headings to expose the organizational structure of your page and to help students with visual disabilities who rely on a screen reader. (Students with screen readers scan pages by moving from heading to heading. A blind student who used JAWS (popular screen reader) can hit the 1 key to navigate to a level 1 heading to get a sense of the structure and organization of the document. He can hit the 2 key to move to a level 2 heading. Use bulleted lists and numbered lists where appropriate and reduce the amount of writing. The traditional wisdom was to ‘chunk’ writing by separating it into pages – but mobile devices may be affecting students’ habits. They are accustomed to endless scrolls. More research is needed on the effects of cognitive load of endlessly scrolling pages. Again, when in doubt, simplicity is preferable. Consistency is key. As students navigate the lesson, they shouldn’t burn brain cells on figuring out each page. Pages that function the same should be styled the same. For example, imagine that your page summarizes key concepts with a bulleted list. Summarizing key concepts is an important strategy. Our pages may dive deeply into the details – but we want students to emerge with a clear map of the key ideas. A bulleted list can be set off to the side of the page (left or right) or placed underneath, separated by space, color, and possibly a border. The placement should be consistent so that students know where to find the summary in each part of the lesson. They’ll look for it. At all times we need a strong contrast between the text and the background. Lack of contrast affects readability. Strong contrast also directs the eye. I break this rule too often when I style hyperlinks to be colored in something other than the standard, boring blue with no decorative underline. And I always regret it. I strive for elegance and create a problem instead. Some of these key principles relate to work done on perception by the Gestalt psychologists of the early twentieth century. One of their principles, ‘Figure-Ground’ relates to an object and its surroundings. Photographers embrace this principle when they want the subject of a photograph to be clearly known – in other words separation of the subject from the background. Photographers will use a large aperture setting to blur the background (reduced depth of field) and thus create a clear distinction between figure and ground. All elements in the lesson need to be distinct from the background – and that especially applies to text and the background. Structure relates to the organization of elements on the screen. It is concerned with proportion, symmetry, asymmetry, and balance. These concepts are expressed in so many ways. In photography, artists may think in terms of the rule of thirds – whether they are following or breaking the rule. Two-thirds land; one-third sky. One-third rocky foreground; two-thirds blurred valley background. Two-thirds of blank space on the left; one-third of birds on the right. Halves, in symmetry has quite a different effect and can be a statement in and of itself. The parliament buildings of London reflected in perfect symmetry in the Thames, for example. We can make similar decisions with the placement of images on the page. They can be set with a width of 66%, which means that they will always scale to two-thirds of the page, regardless of page size. Or the image can be set to 33% with text wrapping the image and taking up the remaining space. Or they can be wrapped in negative space (e.g. white background) with the ratio of image to negative space a very deliberate choice. Again, photographers might subdivide the plane in a three by three grid, which gives them 9 spaces in which to organize the structural elements of the photograph. Traditional layout artists, similarly, had grids that subdivided the page. Instructors can get a sense of their layout by abstracting the visual elements on the page as shapes. The paragraph becomes a dark block. The negative space becomes a white block. What proportion of the overall space do the blocks occupy? What is their relationship to one another? Are they pleasing and pure? Are they distracting and confusing? So, if our text block was denoted by ‘a’ and our image block was denoted by ‘b’, the ratio of text to image would be the same as the ratio of text plus image to text alone. So, the secret to all good learning is in the golden ratio? Not quite. The only point I am making is that the proportion of things will have an effect. We should at least be aware of how things are laid out on the screen. Proportion matters. The instructor who consciously and conscientiously includes visual design in the planning of his or her eLearning lesson will reap the reward. Students will benefit from being guided through the lesson, and not being distracted by colors, crammed elements, inconsistency, poor readability, and an off-putting layout. Visual design is a large study – but the application of a few principles will greatly improve one’s eLearning design. In late August, LodeStar Learning is publishing an early release of our new EpubMaker3 template. It is radically different from our previous version of epub3Maker. It is based on a new approach to authoring eBooks and ultimately it will supersede the capability of the old approach. If you are the intrepid instructor, try the version of ePub3Maker that is featured in LodeStar 7.3 build 9 or later (release late August, 2018). If not, expect improvements and fixes to come rapidly in the future. In the meantime, the work on this new template has made us envision the possibilities. And that’s what this blog entry is all about: the possibilities. The making of yet another eBook authoring tool was inspired by our focus on interactivity. We realized that learning from eBooks is not just about content. It’s about student engagement and student action. The content comes relatively inexpensively when derived from open educational resources. Making students act and think requires effort. Another source of inspiration for an eBook authoring tool was the open educational resource work done at OpenStax (Rice University). In short, it is brilliant. OpenStax came out of the Connexions program that was started by Dr. Richard Baraniuk. In response to high textbook costs and the limitations of the traditional textbook, Dr. Baraniuk created a system in which textbook content could be broken into editable and reorganizable chunks. Collections of these chunks could be organized into books, deliverable as PDFs, ePubs, or as zipped up websites. Most instructors are familiar with a PDF or a website. ePubs are electronic publications or eBooks that follow a standard that is published by the International Digital Publishing Forum (IDPF). The latest version of the standard, version 3, supports interactivity. At least one free eBook reader is available on every major platform that can read an ePub and preserve its interactive format (see technical note at conclusion). Most readers simply show text and images. Our goal is to enable instructors to import content from open educational resource (OER) repositories and add interactive content that will help students master the content. We’re not quite there yet – but close. In the meantime, we propose another useful strategy: the strategy of enhancing existing content with interactivity. Again, we were inspired by being able to combine OpenStax content with ePub3 interactivity and provide a tremendous experience for students. I’ll explore a very simple use or application for instructors. Although possible, I find it highly unlikely — given the constraints on instructors — that an instructor will move a whole book or even a chapter into the interactive ePub format. That effort demands some level of automation. It just takes a lot of work to tidy up the document, recreate the organization of the OER, manage the transfer of media such as images and make sure that everything is in the right spot. Let’s propose, for a moment, that we leave the open textbook where it is – in the OpenStax or Open Textbook library – and simply link to it. Or, at the most, borrow snippets from the OER text. The purpose of the instructor-generated eBook would be to create interactive exercises that challenge the student, check for understanding and provide direct references to the original content source in the feedback. In this simple use case, we are not reinventing the wheel or asking instructors to move large amounts of content into the interactive eBook format. We are asking instructors to create what is not readily available – exercises that provide immediate feedback and a learning path for students to master the content. I anticipate a variety of companies with adaptive learning systems or fee-based websites to provide this service – but the proposed approach places control squarely in the hands of the instructor. I’m proposing a new instructional design pattern – called Enhanced Content. In this pattern, the new content is built on existing content that is made available as an open education resource that is freely accessible on the internet. The new content’s intellectual property ownership can remain with the instructor and remain ‘private’ or the new content could itself become an open educational resource. In either case, the new content provides added value. The value of an ebook is well summarized in a paper titled, Interactive Ebooks as a Tool of Mobile Learning for Digital-Natives in Higher Education: Interactivity, Preferences, and Ownership by Aadil Askar. Bookmark: Bookmarks stores page or section information of the eBook for future retrieval. Table of Contents: It is an Index of the eBook that allows the user to open a specific chapter or topic. Portable: The user can download it and easily carry it anywhere anytime within their smart devices. Interactive Images: It is a graphical image that provides additional information of its parts (areas) upon user interaction. 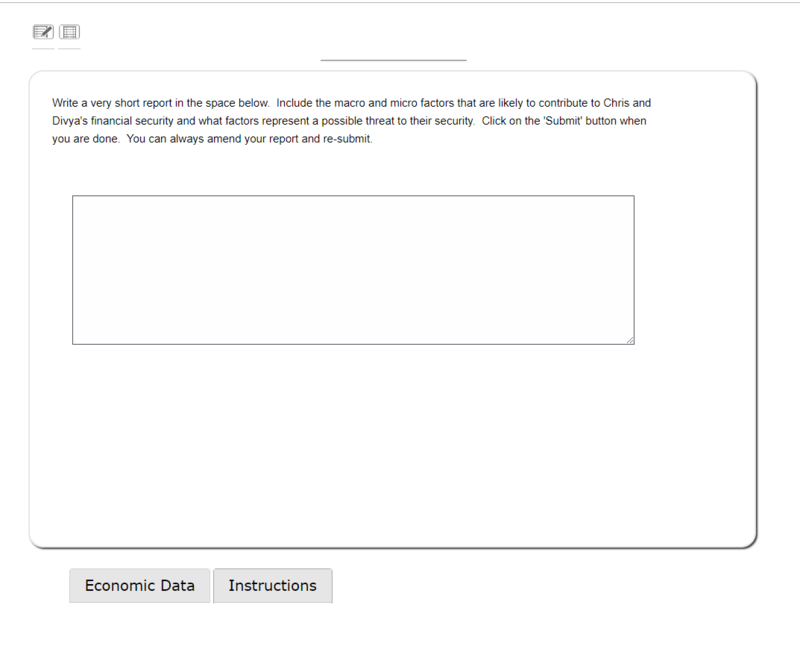 Multimedia: Allows user to watch videos or animation to learn topics effectively. Highlighting and Note taking: The user can highlight the content or take notes which will be available as study cards for easy one point access for future reviews. Other popular formats include the Mobi format and the PDF. Mobi is used in Kindle books. Amazon applies digital rights management (DRM) to MOBI files. MOBI, however, can be used free of DRM. The PDF is the Portable Document Format, which was first released in the early 90s, is now an open standard. ePub3 files, when displayed in an eBook reader that fully supports the standard, have tremendous potential to engage students. 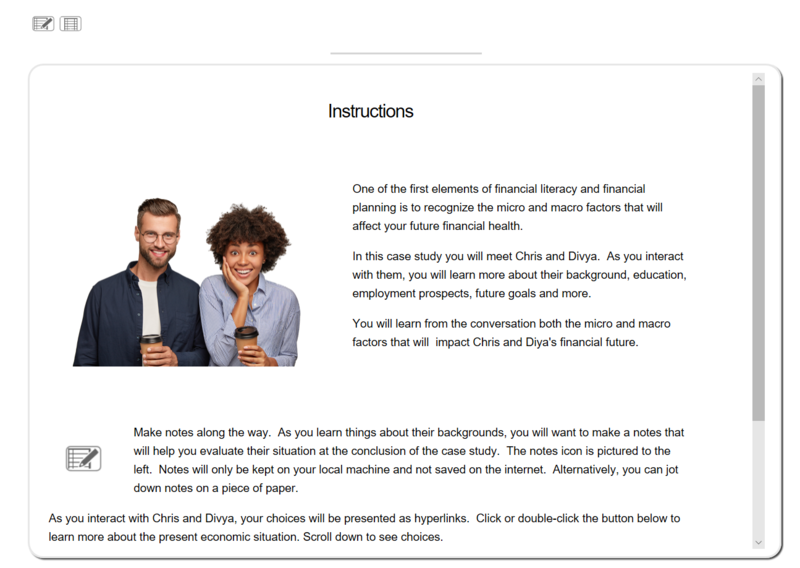 Our focus has been on an authoring tool that makes it easy for an instructor to build and add that interactivity to an eBook and publish it to a learning management system for easy download by students. The following example was inspired by Walter Lambert, a professor at Metropolitan State University. Walter Lambert is developing a course on Personal Finance based on Rachel Siegel’s open textbook Personal Finance v1.11. One of the challenges of personal finance for students is understanding the relationship between time and money. A section of the book is focused on calculating the relationship of time and value. The author does a wonderful job of explaining the concepts, providing the algebraic formulas and showing examples. Students, however, need practice. Books typically provide exercises, but they are hard-coded, meaning they never change. They also don’t provide corrective feedback but only an answer key. We added interactive word problems. So, for example, students are asked to calculate the future value of a sum of money if put into a bank account with a fixed rate of interest. PV× (1+r) t = FV, where PV is present value of a sum of money; ‘r’ is a rate of interest; and t is the number of years, assuming that the interest is compounded once per year. It is your twentieth birthday. If you invest $2000 in a savings account for 3 years, what will be the future value? The variables are replaced by values in the specified range. Each time students view this problem, they get a new version. After they venture an answer, they get immediate feedback. They can practice to their heart or brain’s content. The next step in understanding time and money is calculating present value, which is a little trickier. Once again, the formula PV=FV/[ (1+r) t ], can be embedded in a word problem with ranges for each of the variables. Rather than trying to recreate Rachel Siegel’s book, instructors can focus on the stumbling blocks and include these ‘interactive’ activities in order to practice students on the concepts. The following screen demonstrates an excerpt from Rachel Siegel’s text. This represents content that is directly applicable to the word problem that follows. 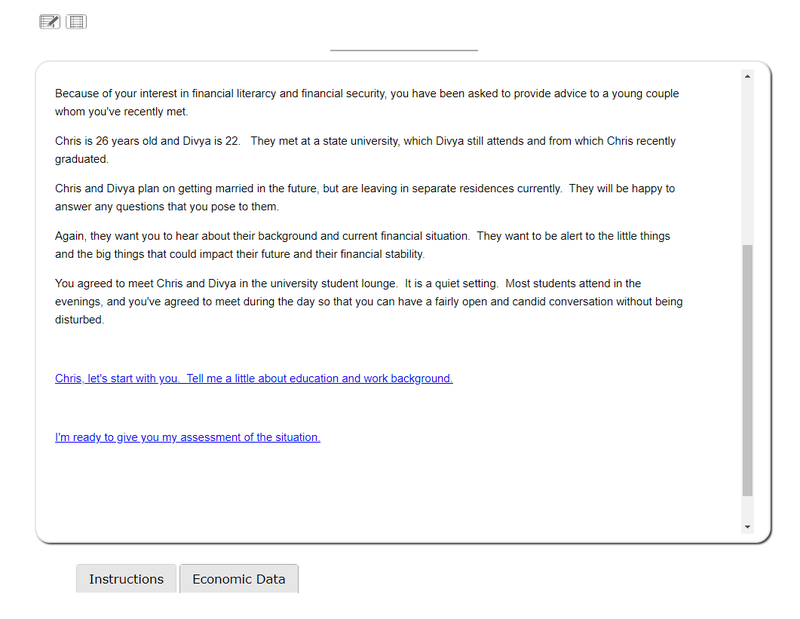 Screenshot of textbook content being displayed to the reader. The following screenshot shows the word problem in an embedded widget. The word problem holds the variables that will be populated with values when the project is displayed in a browser. Screenshot of a word problem as seen by the author. The following screenshot shows the Word Problem Widget dialog. Each variable is defined and given a minimum and maximum value and whether or not it represents an integer (a whole number). In this example, there can be many variables but only one expression. Screenshot of a widget that enables instructors to configure a word problem and its embedded variables. 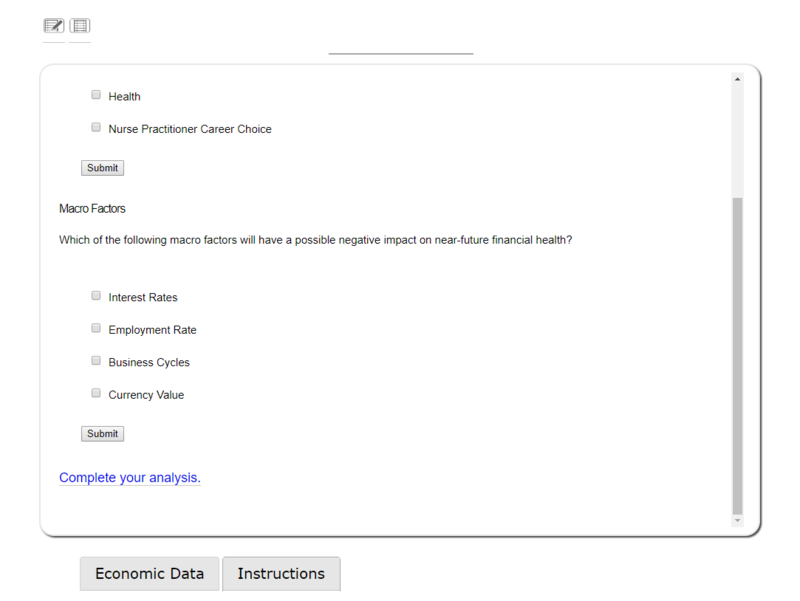 Here is the output as viewed in the learning management system. Word problem as viewed by the student. After download, the student can add the eBook to their eBook reader library. The one that works best is iBooks, as pictured below. Embedding word problems in an interactive eBook following the ePub3 standard is only one example of interactivity. The eBook can host a wide range of activities that include sorting, categorization, ordering, multiple choice, multiple select, and more. The intent is to practice students on the concept and involve students in solving problems, making decisions, and checking for basic understanding. The eBook places tremendous capability in the hands of students. They can download it, get away from the internet, add notes, add a drawings, and, with ePub3, interact. As of this writing, there are only a few eBook readers that fully support the interactive ePub3 standard. 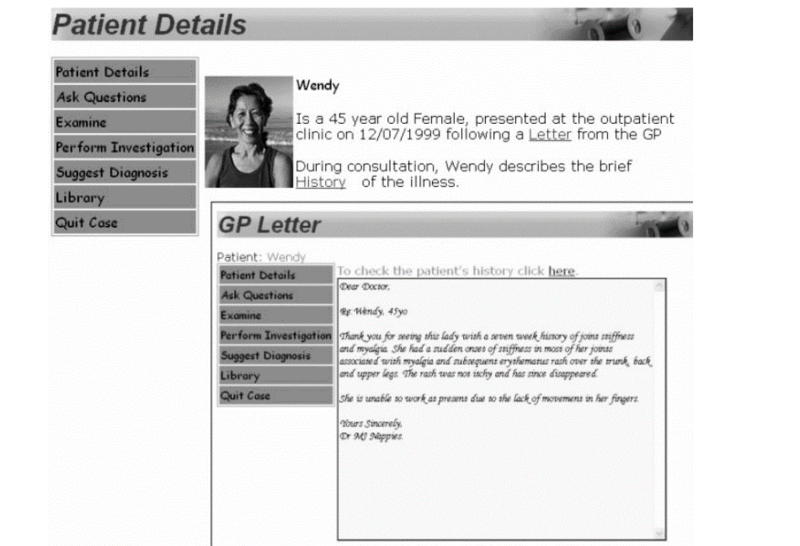 In cases where interactivity is not fully supported, text and imagery are shown, and the questions are displayed without interactivity. For example, the question options won’t respond to mouse clicks or touch. With our template, students can view and interact with the content in the learning management system without requiring a download. On a PC the Readium Chrome Applications works very well. It is based on the open source ReadiumJS, which has found its way into a number of products. We’ll update this PostScript and our Facebook site (https://www.facebook.com/LodeStarLearn) in the future with news of new eReader discoveries. Siegel, Rachel, Personal Finance v1.1, Flatworld Knowledge Publishing (2014), ISBN: 978-1-4533-6735-3.